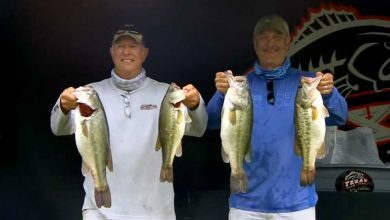 The Texas Team Trail is a series of competitive team tournaments that sees the best Texas Bass anglers compete at well-known lakes, such as Sam Rayburn Reservoir, Lake Amistad and Toledo Bend Reservoir. Theres a 5 fish limit each day and with great prizes all the way down the leaderboard the competition is always intense and very exciting. It culminates with the Tournament Championship, a two day event with the biggest purse of the year and where the Team of the Year is decided. The 2017 Texas Team Trail season kicks-off on the largest lake in the state, the Sam Rayburn Reservoir - this year 341 teams are looking to maximise a 5 fish limit but the conditions are cold and windy. 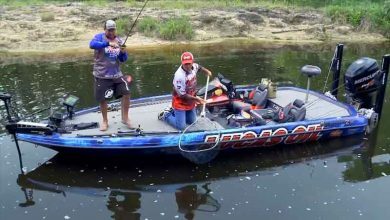 Sit back and watch some exciting bass tournament action! 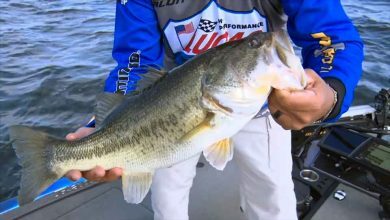 Our next stop of the 2017 season is Toledo Bend Reservoir - probably the most prolific fishery in the state. But recent conditions make it difficult to know whether the fish will be shallow or deep. It promises lots of bass fishing excitement! 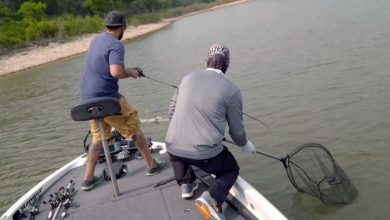 The Texas Team Trail travels to Lake Belton where there is a large population of Smallmouth Bass to contend with, but as long as they're over 14" they count! 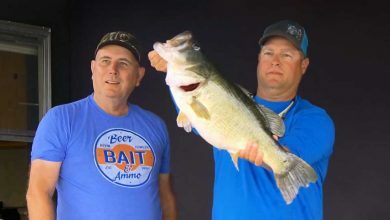 It's a tournament filled with surprises - including sharelunkers (13lb+), lake and tournament records! Drawing tournament anglers from Texas and Oklahoma, amongst other states, the Texas Team Trail ends its regular season at Lake Texoma! A storm is forecast which will make conditions tricky but there's all to fish for as they approach the end of season finale. The 2017 Texas Team Trail reaches its climax at the Championship tournament taking place at Lake Livingston. Over two days the pairs will be looking for their best 5 fish each day and the biggest total weight will take the title. The Team of the Year competition will also be decided and it's very close at the top. Day 2 of the 2017 Texas Team Trail Championship tournament wraps up at Lake Livingston, where 1st and 2nd will each win a new boat and we'll crown the Lucas Oil Team of the Year!